The First Presidency has announced an updated edition of the Book of Mormon in Yapese. Electronic versions are now available on LDS.org and in the Gospel Library mobile app. Printed copies will be available by March 30, 2018. Members are not expected to obtain new scriptures as a result of this updated edition. This edition incorporates various adjustments approved by the First Presidency and Quorum of the Twelve. Most of the adjustments are in the study helps or some minor spelling and meaning corrections to the text. Scripture verses in the new edition have the same page numbers as the previous edition. 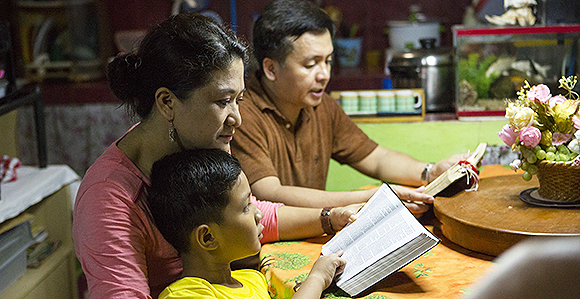 As members prayerfully learn and teach from the scriptures, their testimonies will grow and they will receive greater direction in their daily lives. Yapese is a language spoken by the people on the island of Yap in the Federated States of Micronesia. Kammagar. Thank you for the news!